Advertising, marketing, PR, and design are industries that seem to pride themselves on how hard they work their employees. There’s a famous saying that has been used by many creative directors and executives over the years — “If you don’t come in on Saturday, don’t bother showing up on Sunday.” Basically, if you’re not ready to work in a sweatshop, we don’t want you. However, with the advent of social media, the problem has increased exponentially. Now, advertising messages are being pushed out around the clock, and it’s not all automated. Someone has to do it, and it is leading to more stress, poor health, and worse. This is unacceptable. Your job is not your life, and it should never be responsible for anyone taking theirs. So, if you feel like it’s all becoming too much, you need to take a breath, try and relax, and read the following 10 tips. They could save more than your sanity. Seriously. Talk to your manager as soon as possible and take a break. Not a five-minute break, and not a couple of days at home. You need a complete and total cut-off from work. You should explain why, without sounding like you’re whining or getting emotional. Be rational, lay out all the reasons you deserve a break, and why you will be an even better employee when you return. Ideally, you should be gone for at least two weeks, and you should make sure you have no contact with the office. Don’t make yourself available for calls. Don’t check your emails. If at all possible, find somewhere to go that is the complete opposite of work, and do whatever makes you genuinely happy. If that’s laying on a beach drinking cocktails, climbing mountains, or white water rafting, do it. If you don’t have any vacation days left, ask for an unpaid break. Find a way to make it work. This is your life, and if you don’t do this soon, you could suffer in so many ways. For some people, it’s CrossFit or martial arts. For others, it’s paintball battles, soccer, racquetball, or bowling. Many people enjoy video games, while others prefer a shooting range or a dozen laps of the pool. The way you release your aggression and frustration is not important, as long as it’s not harmful to yourself or others. What matters is that you find a way, any way, to let off some steam. Right now, you’re a pressure cooker. If you don’t open that release valve from time to time, you are going to explode. Perhaps not literally, but you’ll crack emotionally, have outbursts, or maybe do something from which your career can never fully recover. 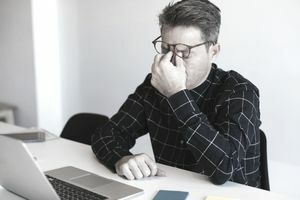 A lot of people deal with the stresses and strains of a hectic work life by turning to the bottle or dosing up on coffee, energy drinks, cigarettes, and much more. While these can sometimes be helpful in moderation, you can quickly become dependent upon them; especially if you’re using them to cope with a heavy workload, and that workload just keeps getting bigger and bigger. And if you get hooked, you’ll be in trouble. Although something as simple as coffee, or caffeinated drinks, seem harmless, they can be damaging. They can rob you of the much-needed sleep you need, and put undue strain on your heart. And we all know about the dangers of alcohol and tobacco. So, while you may think you need them more than ever, find something else. Something healthy. Burnout in advertising agencies can not only happen from overwork but from working on the same few clients for months at a time. As the old saying goes, a change is as good as a rest, so talk to your manager about taking on different responsibilities. Can you move on to a different account? Can you work with clients who require you to leave the office more for meetings, shoots, and events? Can you swap accounts with someone else who is feeling worn out? If you are good at your job, the agency will not want to lose you. It can cost up to 400 percent more than your annual salary to replace you, especially if you’re a talented creative, and the agency would much rather put your skills to good use on a different account than see you walk. Another way to relieve a little pressure is to share your problems, thoughts, and concerns with someone that genuinely cares about your well-being. It could be a spouse, a son or daughter, your best friend, a neighbor, or a trusted co-worker (don’t go spilling the beans to someone who is known to spread gossip or use the information against you). They do not have to be in the same industry, and they do not have to understand exactly what it is you do. But what they can do is be a shoulder to cry on, which is often all you need to release some of that bottled-up frustration and despair. If you cannot find anyone who you’d want do this way, your other option is to write a letter to the person, or people, that are adding to your burnout. The boss, a co-worker, or a client. Put down everything you want to say. DO NOT send it to them. This is merely an exercise to get some of those things off your chest. In advertising and design, when you’re busy on exciting projects it can alleviate some of the problems that come with an exhaustive schedule. Yes, you’re busy, but you’re having so much fun it’s not an issue. However, when you’re burning the candle at both ends on projects that do nothing to inspire you, that’s when burnout can really take hold. When this happens, find ways to make the jobs you’re working on more fun. One creative approach used by copywriters and art directors is to challenge each other to get specific words or phrases into the ads (try getting “hot air balloon” or “goat rodeo” into dry copy about insurance). Make it a game. It may get rejected. It may pass without anyone noticing. It may even sell more product. A change of scenery can do you the world of good, even if you’re still working 12-hour shifts seven days a week. Most ad agencies will let you work remotely from time to time, especially if you’re looking for inspiration. Find a local coffee shop or bar, or go to the nearest park. It’s truly remarkable how much this can help with the burnout feelings. However, do not work from home. When you are experiencing burnout, you need to make every effort to separate work life from home life. The last thing you should be doing is bringing work home with you. That association compounds the problem, and before you know it, you associate home with the same feelings you have at work. Draw the line, and do not cross it. Known as the Family and Medical Leave Act, it is a federal law that guarantees certain employees up to 12 workweeks of unpaid leave each year, with absolutely no threat of a job loss. It’s often used for a major life event, such as the birth of a child, or a stay in a hospital. But if you really are experiences severe burnout and mental stress, this can qualify as a good enough reason to use the FMLA protection. See a doctor or psychologist, explain what is happening, and get written proof that you are unable to perform your duties to a satisfactory level due to your stress, burnout, and anxiety. Yes, the leave is unpaid, so you will have to weigh that against the amount of time off you take. In many cases, four weeks is more than enough to recharge and get back to your old self. It goes without saying that when we get stressed, we look for ways to feel more comfortable. For many of us, that included eating comfort foods, drinking alcohol, and collapsing on the sofa in front of some TV. However, that will not help your mental and physical state one bit. Don’t reach for the chips and the remote. Instead, create a plan to exercise more, and eat more healthy foods. And get a good eight hours of sleep every night. No late-night movie binges, and no snacking at midnight. Think of your body as an overworked machine. It needs love and care. It needs the best fuel, the best maintenance, and plenty of time off the road. A few weeks, or months, of this and you will feel ready to take on the world. As a last resort, you may have to quit the company you’re working for. For some people, it’s a choice between quitting and finding a more reasonable way to earn a living, or persevering to the point of a breakdown. And in that case, it’s really no choice at all. You cannot afford to become so mentally and physically ill that you become incapacitated. So, find a way to quit. Ideally, you’ll want to have another source of income lined up, with enough of a gap between quitting the old job and starting the new one to refresh. But if it’s either quit or risk your sanity, then quit. You will find other ways to earn a living, be it freelancing, or finding a new career path altogether. In fact, some people quit to start a very different line of work, and become happy and stress-free. So, there it is. Burnout is serious. It’s not just your work that suffers, but your health, your mental state, and the lives of the people around you. Do whatever you can to repair the damage, and find a way to maintain a good work/life balance.